March 1941. 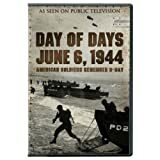 Captain Martin Stone (Andrew Tiernan) is leading a finely-trained platoon of American soldiers on a mission to destroy an enemy bunker. They're suddenly attacked by the same soldiers they had just killed a few minutes earlier. Forced to flee deeper into Russian territory, they discover one of war's most terrifying secrets and realize that they have woken up an enemy far deadlier than ever before imagined. 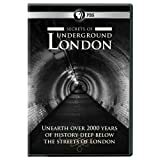 4 Fabulous discs: From the primitive man who inhabited the planet to a volcanic eruption and its devastating impact and a fascinating look at a changing world and the cost of survival, to an exploration into the possibilities of another Ice Age. * Go behind the legends of the adventures of King Arthur and his fabled court of heroes, the Knights of the Round Table, which have dominated the imagination of the western world. * Historic depth to the questions, speculations, controversies, firsthand accounts and grounded theories surrounding an age-old debate. Did intelligent life forms from outer space visit Earth thousands of years ago? * This stunning collection of color 3D photos includes Allied reconnaissance photos, a trove of images that documents the rise and fall of the Third Reich, and photos secretly taken by a civilian in occupied France. Masterfully crafted by Petersen) and critically acclaimed as one of the best war films of all time, Das Boot is a masterpiece that should be part of every film enthusiast's collection. The two-disc Blu-ray is tightly packed with special features including a retrospective documentary of the making of the film, seven vignettes taking viewers on an intimate tour of a German U-boat, two featurettes offering insights from wife and First Assistant Director, Maria Petersen and a look into the making of the Director's Cut, historical material with footage detailing the evolution of submarine battles during World War II and a director's commentary.